RCMP requires the officer in charge to personally check on prisoners at the beginning and end of his shift. Video shows that the officer in charge did not perform personal checks on George. The Nuu-chah-nulth Tribal Council is calling for a review of police conduct towards Indigenous people after a decision Monday from the Independent Investigation Office. It found no criminal wrongdoing after a young Hesquiaht woman was taken to hospital from cells during her time in RCMP custody. 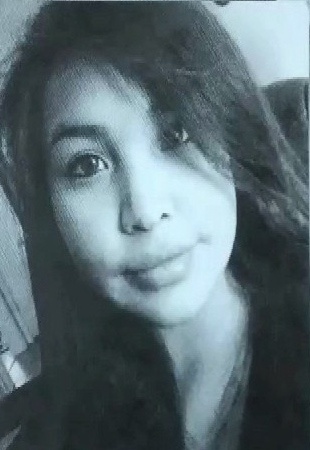 The tribal council said the results of the investigation into the death of Jocelyn George, 18, mother of two toddlers on June 24, 2016 were deeply disappointing. The IIO chief civilian director said there was no obvious evidence that George was in serious medical distress while in custody. Her death was the result of meth and cocaine on her heart. The details outlined in this report underscore an urgent need for the RCMP to re-evaluate their internal policies regarding the monitoring of persons in custody who are deemed intoxicated, reads a press statement from the tribal council. The IIO report recounted a number of incidents, however, where the RCMP did not act in the best care of the young woman. Yet it concluded that any lack of action did not contribute to the woman’s death. After a release from custody for public intoxication on the afternoon before her death, George went to a friend’s home where it was noted her lips were blue and she appeared to be hallucinating. The police were called and they, in turn, called paramedics. Emergency Health Services found George was intoxicated, but fit to again be taken into custody. The officer who had called paramedics told the officer in charge of cells that George had not eaten in two days and to “push food and fluids”. The officer was at end of shift, and said he would be back at 7 a.m and would reassess George in the morning. A second officer who had taken George into custody also told an officer to inform the guard that George was in need of food and water outside of normal mealtimes. Though numerous people knew of the directive for food and water, the guard did not comply. It was noticed on CCTV screens that the young woman was active through the night, and occasional checks on her from the cell door were conducted, but the officer in charge did not do an in-person check of George’s condition. Twelve hours after George had been taken into custody for a second time, the officer in charge talked to the guard about her release, but the guard said George was “still tweaking.” Later in the morning, about 90 minutes after that assessment, the officer who said he would reassess George on his return on shift went into her cell and introduced himself to the woman and noted a limited response from George. The guard was ordered to get George some toast and water. An hour later, the officer was told that she had not eaten it. The report states that the officer went back into her cell, helped George sit up and take some water. He was so concerned with George’s dry mouth, that he again phoned paramedics. George was take to the local hospital and transferred to the Victoria hospital where she died at around 7 p.m. that day from heart failure. The IIO investigation was to determine whether an officer, through action or inaction, may have committed any offence in George’s death. The officer in charge declined to provide his statement, notes, reports and data and was not required by law to do so. “Had he checked on her, the evidence available does not suggest he would have noted anything to indicate she was in need of immediate health care,” the IIO determined. The report also states that because George did not receive the ordered food and fluids in the 12 hours after she was taken into custody, that it did not contribute to her death. Witness statements did indicate her activity during the night did show her taking water from a sink tap. The cause of death as determined by the IIO was drug-induced myocarditis (inflammation of the heart muscle) due to drugs toxicity. The NTC says it wants to see comprehensive procedures to perform regular personal checks on individuals taken into custody that are clearly intoxicated or under the influence of drugs. There is a policy that intoxicated individuals must be checked to ensure they are awake, or are awakened, a minimum of every four hours. The report says guards saw her moving throughout the night on CCTV screens in cells. This case shows that a person just moving around did not mean they were in good health, reads a statement from the tribal council. Police services in Canada are in need of a thorough review of their policies and procedures, said NTC. This is not the first Nuu-chah-nulth or Indigenous person to die in the custody of the RCMP, said NTC. This report has not only failed to bring closure to the family of Jocelyn George who have been left with unanswered questions but has highlighted a reoccurring issue present in many Indigenous communities across Canada—the unfair and unbalanced treatment of our people by police. Hesquiaht First Nation’s Chief Councillor Richard Lucas said the family of George is very upset with the report’s findings and feels that her treatment while in police custody was discriminatory and unfair.